Rooting an Android phone means gaining a super user authority of your phone. After rooting your phone you can install any unauthorized applications,install update for operating system and many more you can do for customizing your phone. If someone is using Linux then its like sudo and Rooting=JailBreak in I-Phone. So Today I will be using Free window Tool to root your phone. 1. Download and install Kingo Android Root on your windows PC or laptop. 2. Now enable USB debugging mode on your Android phone. Go to Settings–>Developer options and tick the “USB Debugging” option. 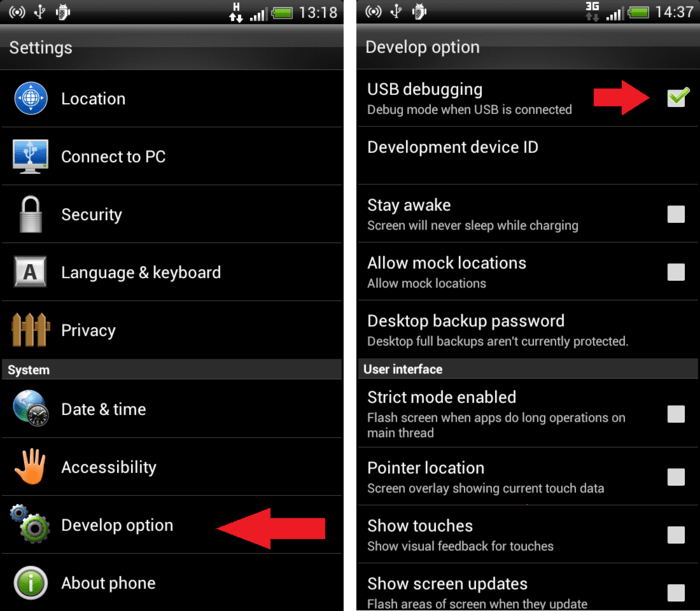 Settings–>About Phone–>Developer Options–> and tick the “USB Debugging” option. Settings–>About Phone–>Scroll down to Build Number. 3. 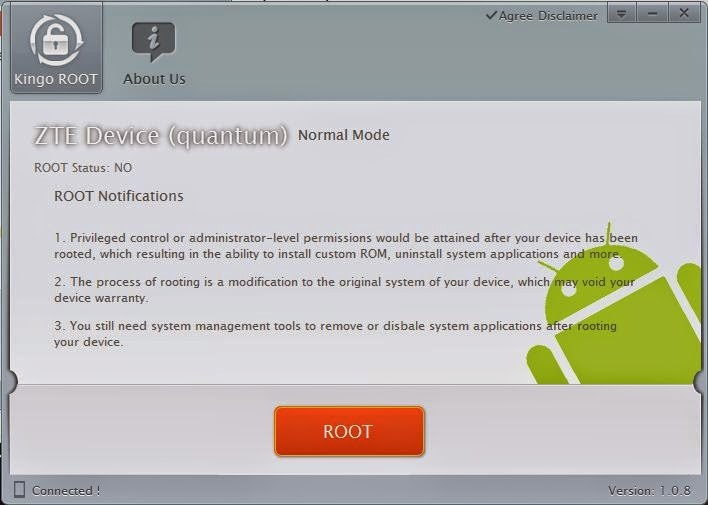 Start Android Root on your PC or laptop after installing,then connect your phone via USB cable and after few moments connection will be established. 4. Click ROOT button and take some rest for few minutes and all the scary process will be done for you. Note: If you decide to reverse the process then run Android Root ,connect phone through USB and click REMOVE ROOT. Hope this will be easy trick for you and work for you… Give your comments…Happy Blogging. « How to migrate or move your blog from Blogger to WordPress without losing Google search traffic.